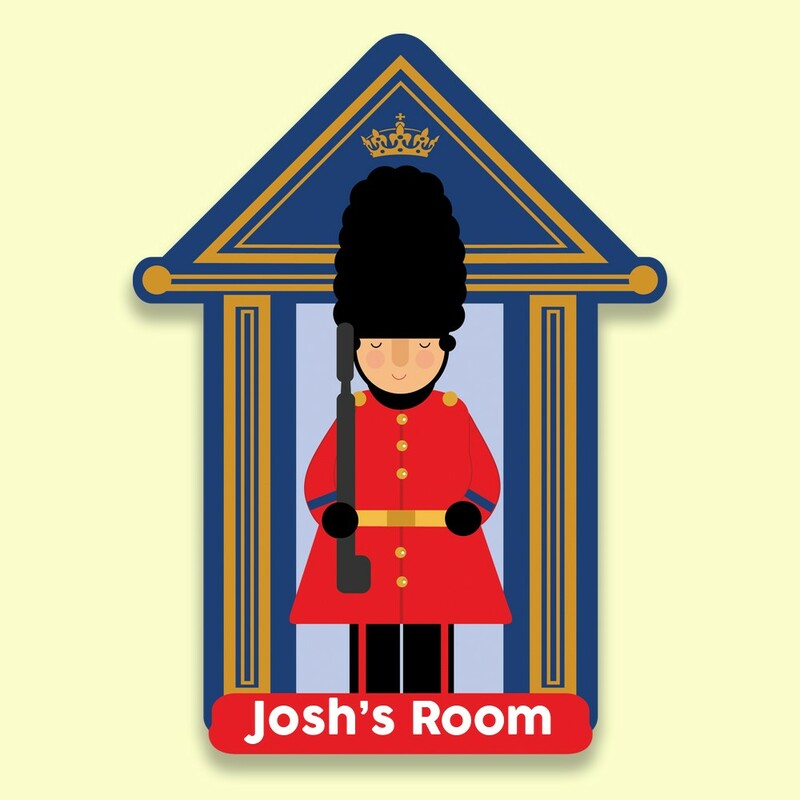 Our quirky little door sign makes a brilliant gift idea for a boy or girl. They will love to hang it on their door to show everyone who's room it is! 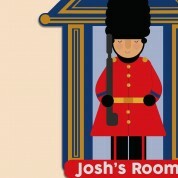 Our proud British Soldier stands tall in his sentry box. He is wearing his complete outfit - a red coat, a shiny gold belt buckle and of course, the bearskin cap. He stands on a red block big enough for your child's name. 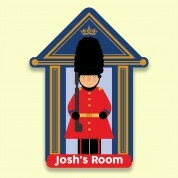 All of our customised door signs are designed and made in the UK. Our team of designers and production workers carefully personalise and cut each plaque, making it truly unique to the child. 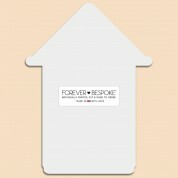 We think the unique door sign makes a wonderful gift for a baby's Christening, Dedication, confirmation or First birthday, though it would suit any occasion. It also makes learning how to spell their name fun!